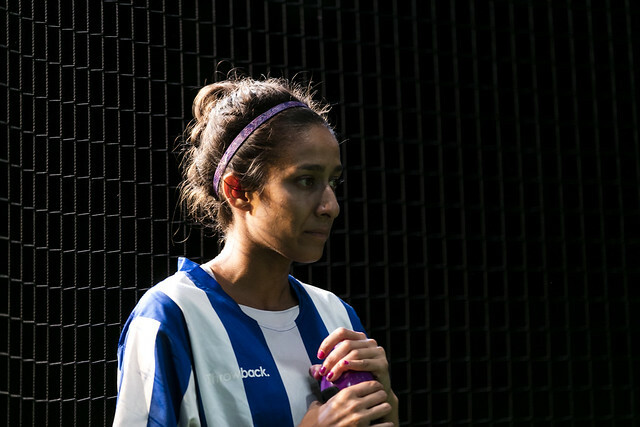 A soccer team of teenagers – they’re close, they look out for each other. In an age where people are being driven to increasing isolation, these young women find strength and meaning in each other. As long as they play together, the violence, distrust and confusion off the field can be resisted. But this is just the warm up. The real game is about to come crashing into their lives. 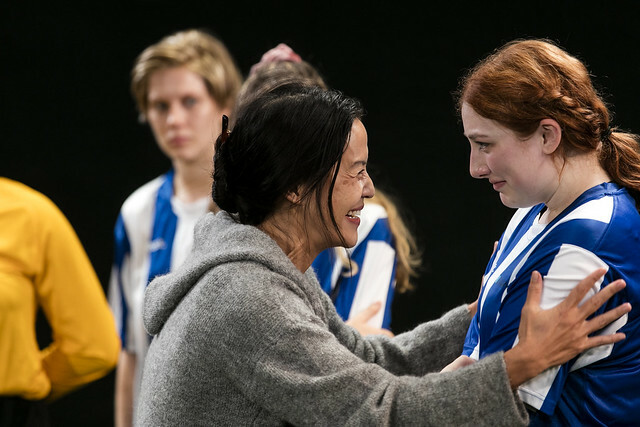 A beautiful, sophisticated play from New York, The Wolves presents a season in the lives of these young women. We see their anxieties, hear their secrets, watch them resolve their petty squabbles and deeper divisions. 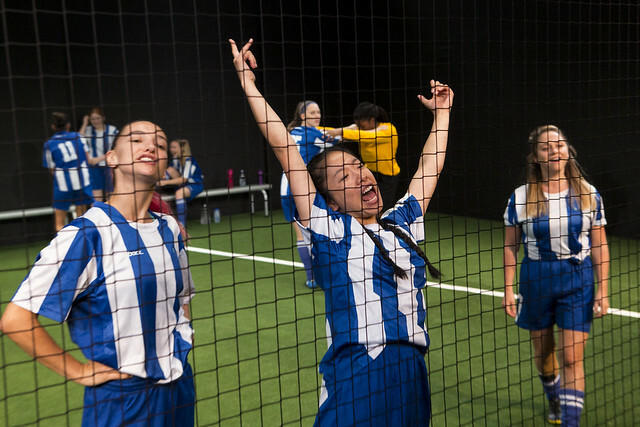 Life isn’t a game – but each player realises she’s part of a team, and never truly alone. This production burst into life at the Old Fitz in 2018. Seeing these nine young women at play – joyful, wild, dangerous – was exhilarating. Watching them grow up before your eyes was moving. We can’t wait to unleash their optimism and free-spiritedness on the Belvoir stage. Warning: This production contains some coarse language and adult themes. Book a subscription to secure tickets to The Wolves and save up to 31% on the single ticket prices below. * Seniors prices are available with an eligible Australian Government-issued Seniors Card. † Concession prices are available with a full-time Australian student card, all Centrelink Pensioner concession cards and Veteran Affairs’ cards. 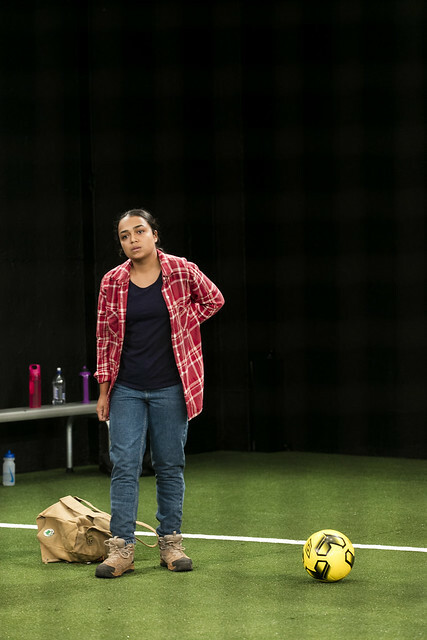 For 2019 productions, these prices can also be accessed by Industry members of Actors Equity (MEAA), AACTA, ASMA, ASDA, ARDA, AFTT, Australian Academy of Dramatic Arts, Actors Centre, Performance Space, Australian Writers’ Guild, Artshub and the Writing NSW. # 30-Down and Student Saver prices are available for Previews, Tuesday evening, Wednesday evening, Thursday evening, Friday evening, and Saturday matinees. ^ Tickets to Sunday performances have an added $5 surcharge. 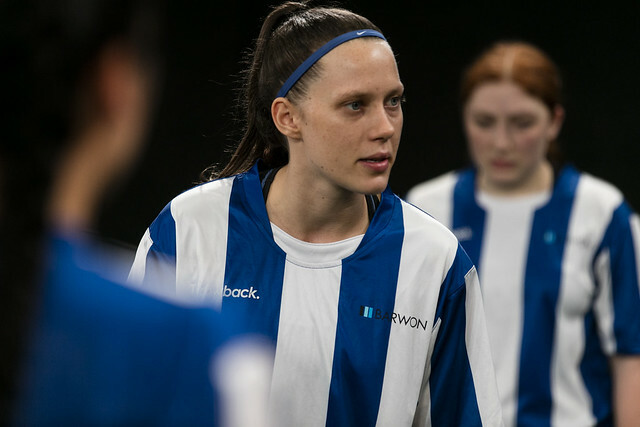 I wrote this play in a sports bra. I am not an athlete in my current life and hadn’t worn one since high school. I would take off my shirt, take off my bra, pull the sports bra over my chest, and sit down to write. I overshare not to advocate for method writing (although…) but to suggest just what sort of play this play was from the start. Physical. Concerned with the body, with women’s bodies, not as eye candy or symbolic vessels but as muscular, dexterous, capable, contradictory, and fallible individuals. Welcome to a planet of teenage girls. The biographical fallacy hounds writers, particularly writers who happen to identify as female. Many assume that she must be writing from her own life or how else did she think of the darn thing? I did not play soccer in high school. I was a teenage girl, I knew other teenage girls, I still do. These characters are not downloaded from my yearbook. 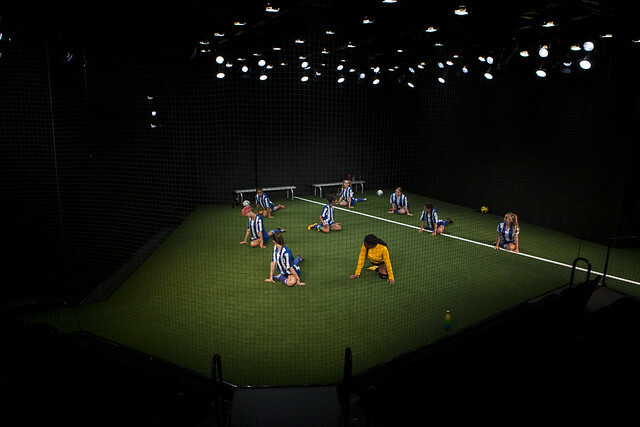 This play is not really about soccer. AstroTurf and American exceptionalism. 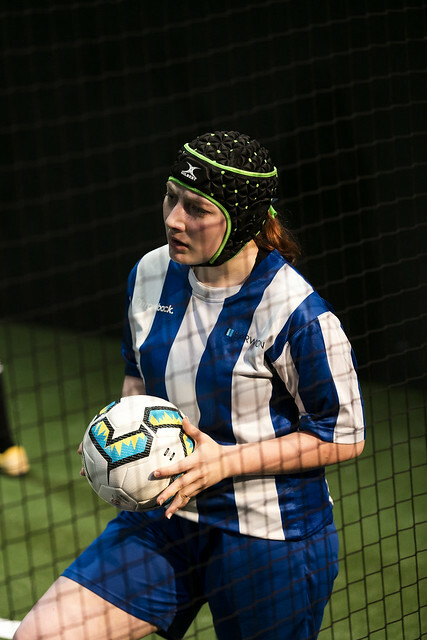 It’s essential that these girls are playing indoor soccer, deep in the suburbs, in a massive structure engineered to allow them to pursue this leisure activity in short sleeves in the dead of winter. 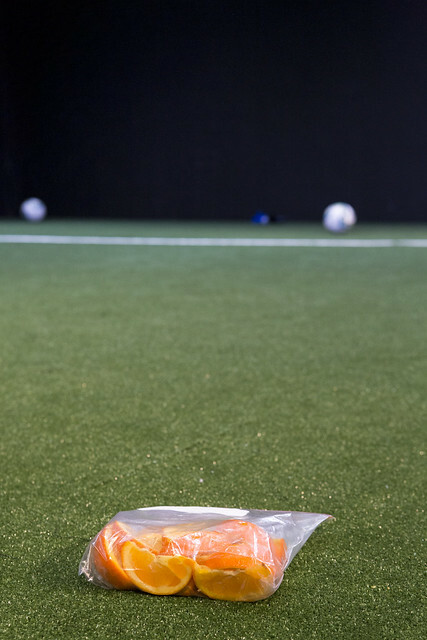 The world’s sport has been siloed to an Air Dome in a suburb. Their team is undefeated. These American teenagers exist, quite literally, in a bubble. At that particular age when the stakes of everyday life could not be higher, they are desperate to understand themselves and the world around them, but they can only see so far. I thought of the play like a war movie. Instead of a troop of young men preparing for battle, we watch a team of young women warming up for their soccer game. There’s a captain, a rebel, an innocent, a recent recruit, a common enemy. The arc follows an escalation of blood and viscera both in the content of their speech and the actual sustained injuries and traumas. Of course, their battlefield is a carpet of artificial grass. And, yet, on their artificial grass, these girls are allowed to define themselves amongst themselves. Their bodies are their own and they are strong. We do not meet them as the property or accessory of a man – a boyfriend, a father, an institutional custodian in school or in government – we meet them with each other. We’re on their turf. They’re not on ours. 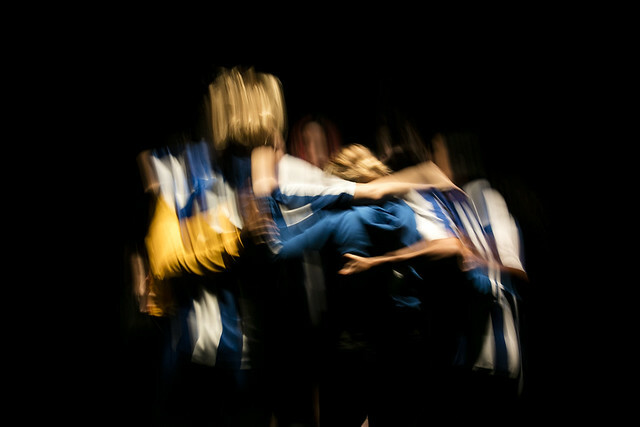 The Wolves is a play that celebrates what it means to be a team, to be young and growing. Throughout this process it has been a privilege to work with a team of ten phenomenal women on a play that is not only empowering but also challenging and complex in the themes that it navigates. 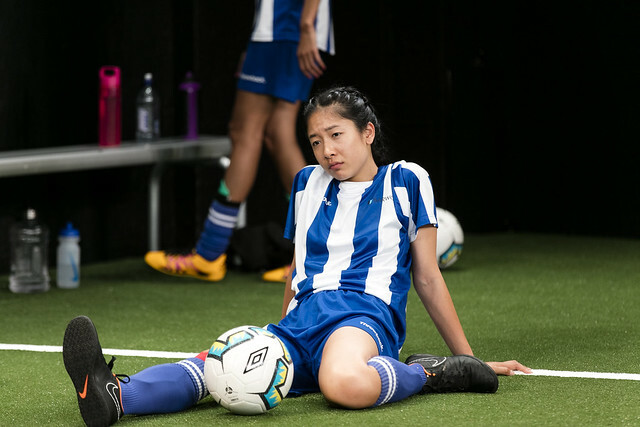 It is rare to find a play in the theatrical canon written just for women – let alone with so many women each with layered identities. Sarah DeLappe has distilled what being a young woman is like. She affirms that learning is hard, friendship is precious and that being young is not easy. DeLappe evokes this dizzying journey from innocence to experience with tenderness that will lead many into their own riviera of nostalgia. Young people today are quickly becoming leaders – challenging the complacency and injustices of our time: Greta Thunberg, the Swedish school girl who started a global School Strike 4 Climate Change, Emma Gonzalez and teenagers who are leading the gun-control movement in the USA, and Malala Yousafzai who championed her own education in the face of the Taliban, are all symptomatic of an articulate energised youth. Unsatisfied with the leadership of the older generation, they exude the change for a better world themselves. They speak out and seize moments that are so rightfully theirs, not waiting for permission to be creators of the world they inherit. The Wolves celebrates this youth – the individuals as a part of a whole – who stare down their inner and outer adversaries. I am incredibly thankful to Andrew Henry, Vanessa Wright and the team at Red Line Productions at the Old Fitz for programming this work in 2018 and equally as grateful to Eamon Flack and the team at Belvoir for giving it a second life. I’d also like to thank Mandela Mathia for being our football guru. This show was made by an all female creative team and cast who are hard-working, generous and remarkable. We look not only to the women in our own lives to inspire us but all that came before and those yet to come. 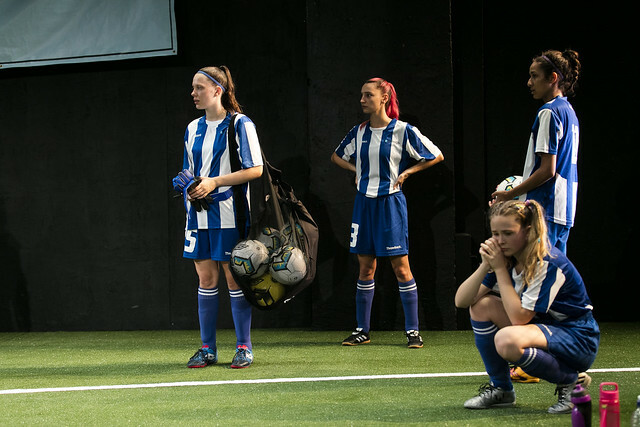 Director Jessica Arthur, alongside cast members, Brenna Harding, Sofia Nolan and Nikita Waldron discuss the understated power of teenage girls on the cusp of adulthood in this Pulitzer Prize nominated play. Produced for Belvoir by Zoe Ferguson.